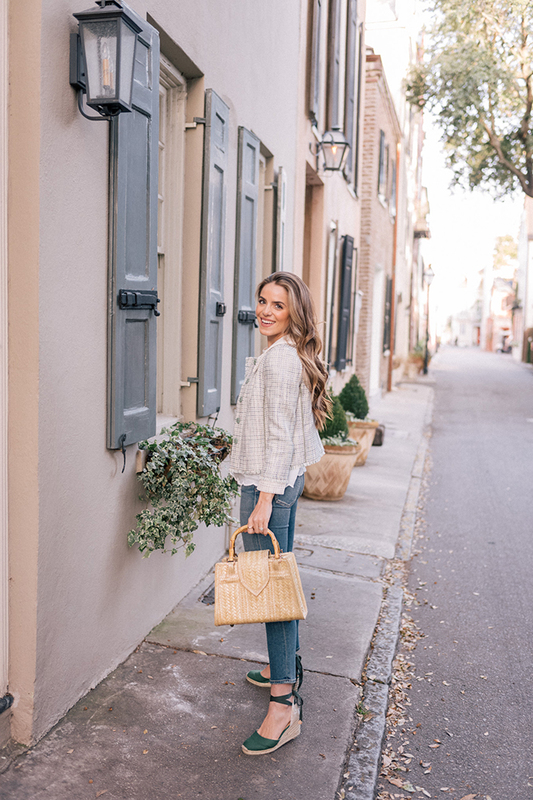 If you’ve been keeping up with my LC Lauren Conrad shoe collection, you’ve probably noticed that I have a thing for gingham heels. Sushmitha of Miss Minus Sized gets me with her printed chunky sandals and casual ensemble. Spring is for pastels (or every season if I’m being serious). Sam of Aww Sam looks adorable twirling in her bubble gum pink sundress and coordinating mules. The best way to polish off any outfit? Add a plain white T-shirt. 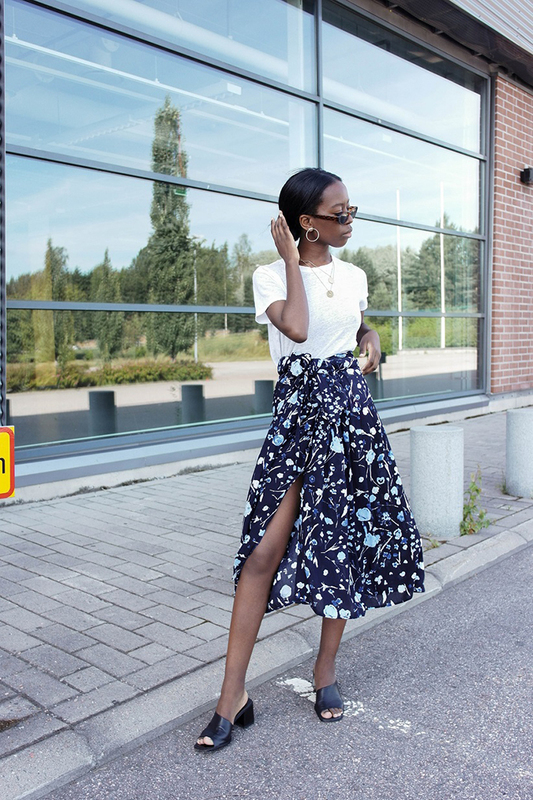 Sylvie Mus shows us how it’s done in her playful skirt, simple jewelry and classic tee. Tweed wasn’t just made for the boardroom. 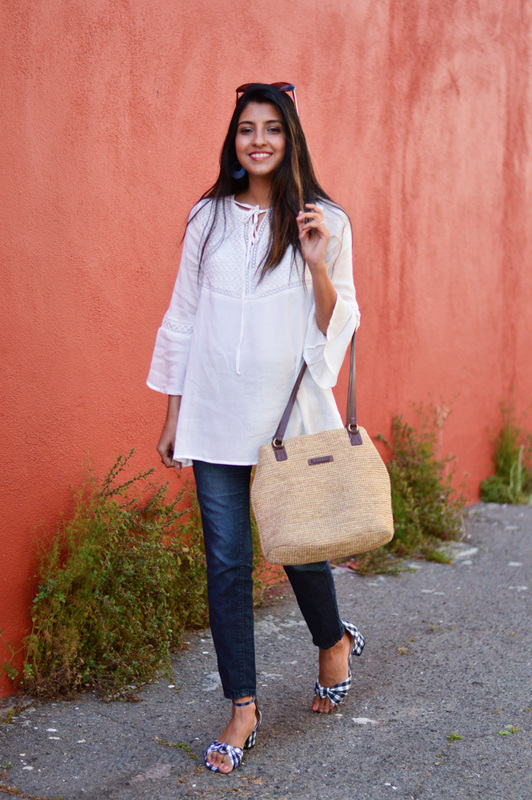 Julia of Gal Meets Glam shows off a casual approach to a tweed blazer with blue jeans, a straw bag, and espadrille wedges. The only way to make an outfit even cuter is to coordinate with your favorite person. 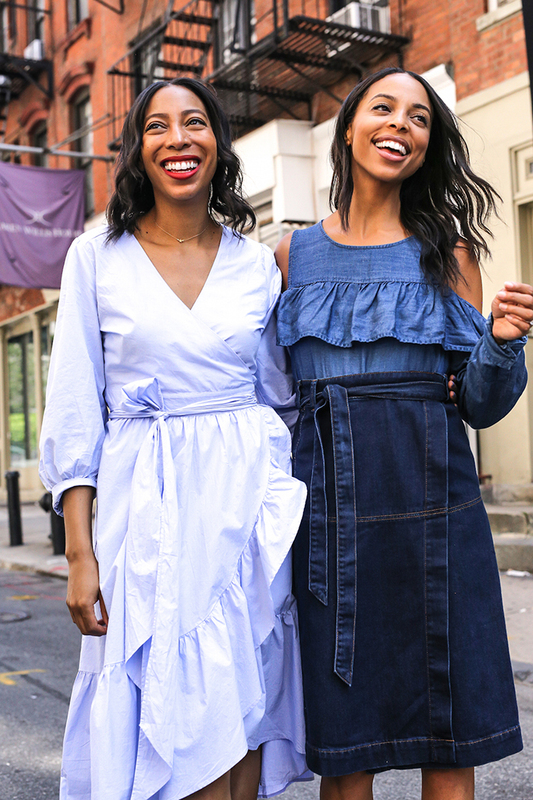 Janelle of Wait, You Need This and her sister Jessica are twinning in head to toe blue, a look that everyone should try this season. 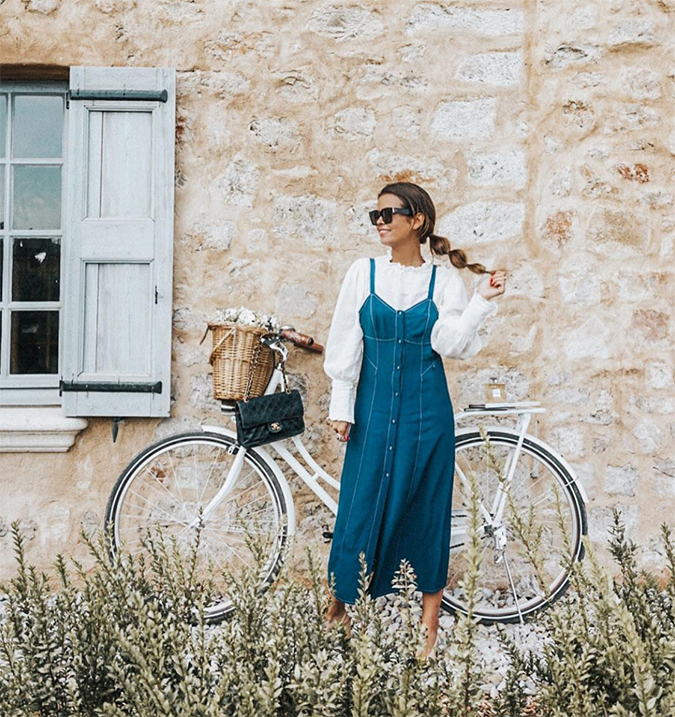 If you’re going to add one dress to your closet this season, make sure it’s denim. I love how Sara of Collage Vintage layered a billowy blouse under her button-up dress and kept her accessories minimal. I’m pretty sure a classic Chanel bag goes with just about anything. 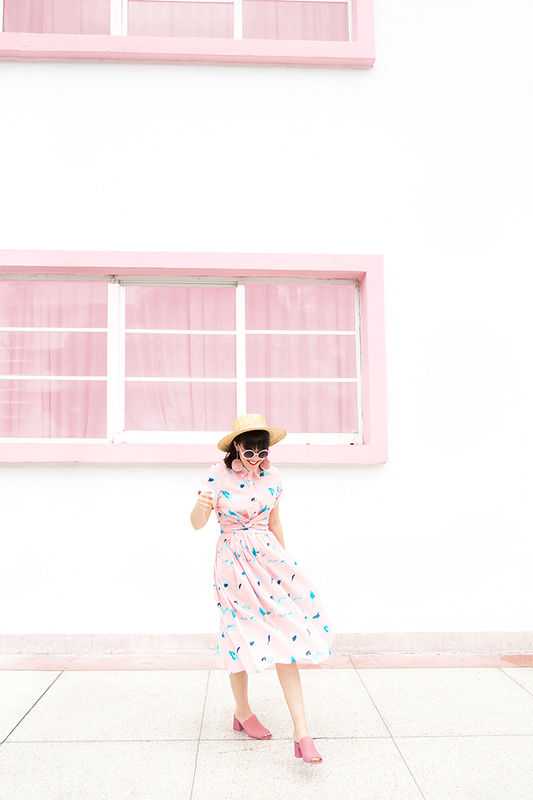 Nothing catches a springtime breeze quite like a swing dress. Taylor of Little Blonde Book looks as sweet as can be in her flirty frock and lace up heels. Plus, who can resist a fun print? 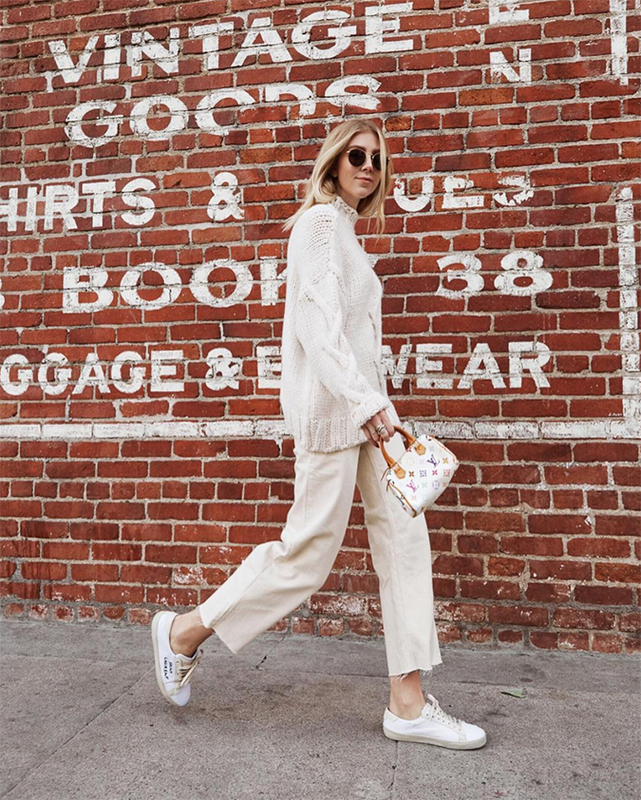 Leave it to Madison of Minimal Major to rock the perfect monochromatic outfit. Winter may be coming to an end, but keep the whites coming. One trend that’s here to stay this season has to be embroidery. From embellished denim to fun and flirty dress like this one on Blake Von D, I’m here for it all. If you love this trend too, be sure to check out this post. No Style Tips installment would be complete without something pink. Mary of Happily Grey makes mixing hues look easy in her head to toe pink ensemble. Which spring trend are you most excited about?